The AURALiC Leo GX was designed as an upgrade to the Vega G2 processor's clocking mechanism. With the Leo GX in place, the Vega G2's clock is bypassed entirely, and drives waveform creation directly with its signal. No more PLL, and no more limitations. 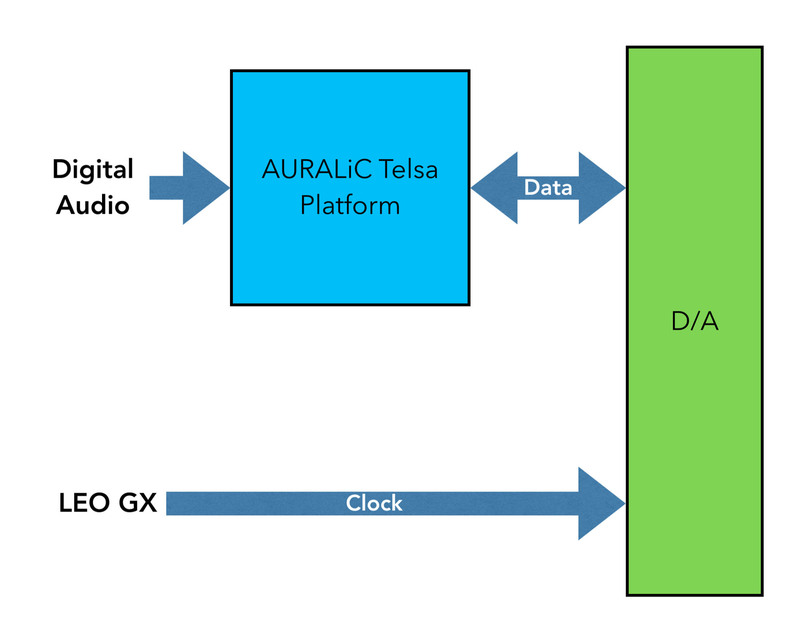 AURALiC's LEO GX is a breakthrough in digital audio system clocking — the first master clock ever that can feed a DAC directly with a working signal so precise that new benchmarks to measure its performance had to be created. Experience a wider soundstage, pinpoint locational accuracy, and expanded dynamic range to name a few of the benefits you’ll hear when you implement LEO GX’s one-of-a-kind approach to clocking that literally bypasses the traditional limitations of internal DAC clocks. As digital music formats and system components march ever forward in quality and capabilities, high-end audio systems increasingly rely on the precision of their clocks to keep the digital realm in order. The greater dynamic range of high resolution files for example is only realized with the help of modern clocks that are capable of working frequencies nearly ten times higher than what was common just a handful of years ago. However, today’s high-frequency DAC clocks are costlier and much harder to design and build than ever before. 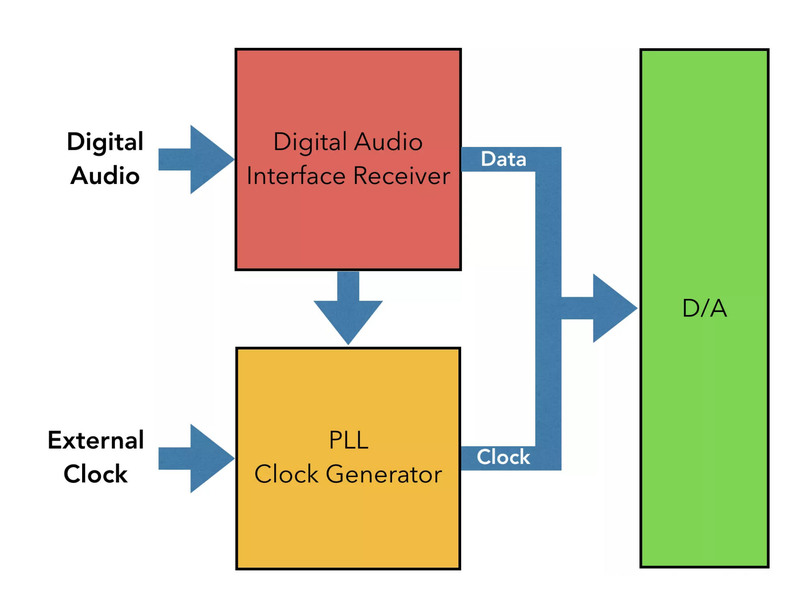 Normally, phase-locked loop circuits (PLL) in a DAC are used to synchronize its internal working signal with the more accurate incoming signal from a reference clock. But they are noisy. And even though the working signal can be nudged a bit to match up with the reference signal, its frequency — and the precision of the analog waveform that’s based on it — is ultimately limited by the DAC’s own clock circuit. Thanks to its unique Jitter-Free Operation, when the VEGA G2 joins forces with the LEO GX these devices accomplish something extraordinary. Instead of merely synchronizing with the LEO GX, the VEGA G2 actually uses the exceptionally high frequency incoming clock from the LEO GX directly — as its own working signal. In other words the LEO GX bypasses the internal VEGA G2 clock circuit entirely, and drives waveform creation directly with its signal. No more PLL, and no more limitations. The LEO GX clock is so precise that existing benchmarks aren’t detailed enough to accurately represent what it can do. Instead, we use Allan deviation to describe the resolution of the LEO GX, which is like looking at phase noise closely enough to detect shifts of +/-1Hz or even +/-0.1Hz. The Allan deviation of the LEO GX Reference Master Clock comes in at 2E-12 (at 1 second), which is equal to a 10MHz rubidium atomic clock with phase noise of +/-1Hz at -110dBc/Hz, or an amazing 500 times less jitter than an 82fs Femto clock oscillator. LEO GX hardware starts with two temperature-controlled rubidium atomic reference clocks. Each is paired with an oscillator using stress compensated cut crystals, for thermal and mechanical resilience and low phase noise performance. The result is the LEO GX’s remarkably high signal frequencies: 90.316MHz for 44.1-based audio signals, and 98.304MHz for 48K-based signals. We’ve gone to great lengths to reduce interference and noise in the new LEO GX, including the use of optical isolation techniques that keep systems physically separated from each other. Control signals from the processing circuit are sent to the clock circuit via fiber optic cables instead of electrical pathways, so the source of LEO GX’s impeccable timing is never disturbed. 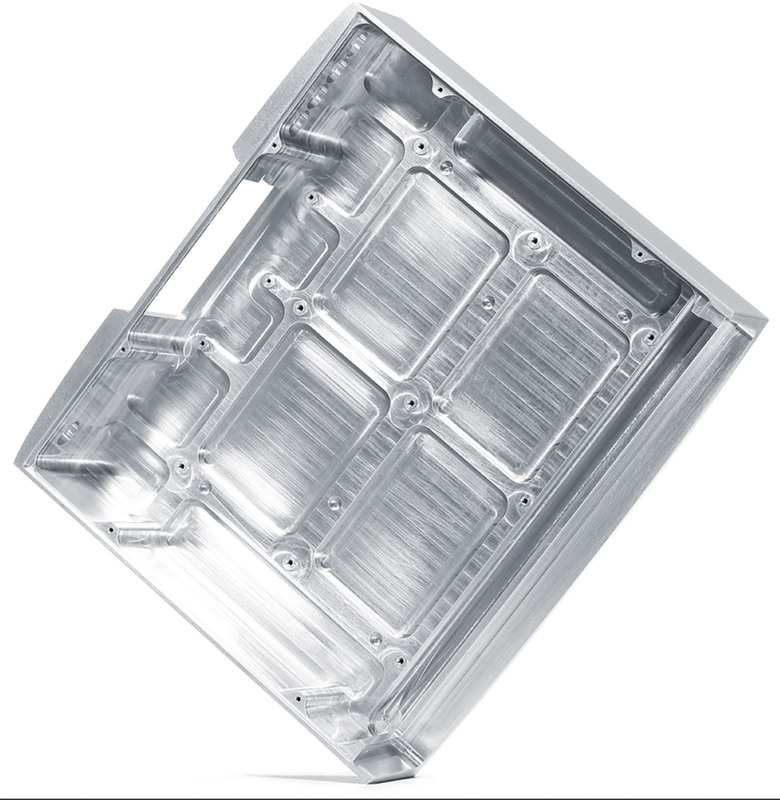 Designed specifically for the premium lineup of AURALiC G Series devices, the Unity Chassis is machined from a single billet of aluminum that provides the LEO GX with superior shielding from EMI noise. It’s the perfect working environment to create the ultra-precise, high frequency feed that can take the performance of your G system to new heights. LEO GX internal circuits are physically distributed to enhance overall balance and performance. And its specially designed foot spikes dampen and absorb vibrations so the operation of its internal clock always starts with a rock-steady foundation. We’ve given the LEO GX two of our ultra-quiet Purer-Power linear power supplies, galvanically isolating them from each other in the obsessive quest to reduce noise and create a pristine working environment. One Purer-Power supply feeds the LEO GX’s processing system, while the second powers the clock circuit. Interference between the areas is reduced to minimum, so there’s nothing to get in the way of LEO GX’s stellar performance. Click the button below to add the Auralic Leo GX to your wish list.